Then they went in and did not find the body of the Lord Jesus. And it happened, as they were greatly perplexed about this, that behold, two men stood by them in shining garments. Then, as they were afraid and bowed their faces to the earth, they said to them, "Why do you seek the living among the dead? 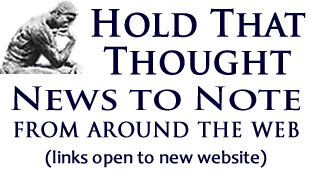 He is not here, but is risen! Remember how He spoke to you when He was still in Galilee, saying, 'The Son of Man must be delivered into the hands of sinful men, and be crucified, and the third day rise again.'" And they remembered His words. 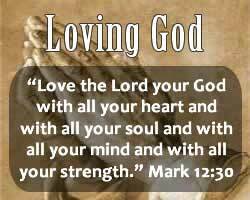 Love God - it's the first and greatest commandment given by the Lord Jesus Christ. This alone calls us to look deeper into this powerful truth! 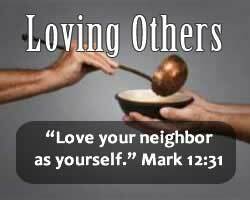 Love our neighbor - it's the second of all commandments as identified by the Lord Jesus Christ. Someone asked Jesus, "Who is my neighbor?" Let's see Jesus' answer! 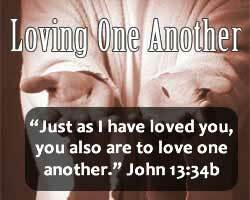 Love one another - it's a new commandment from our Lord Jesus Christ to all His followers! Let's explore this command to love one another!